I would like to amplify the above quote by saying that there is no causal relationship between academic intelligence and financial intelligence. To be precise, it is very possible for one to be academically intelligent but financially undisciplined. That is also not to imply that the two are mutually exclusive. This is the reason why we all have to know. It is very important for every person to know, understand and plan their finances. Financial education is becoming increasingly important not just for investors but for an average family trying to balance its budget, buy a home, get health cover, fund the children’s education and to invest or save for retirement. Successfully doing so requires gaining hands-on knowledge on some of the key concepts in the field of finance, economics and banking. It certainly requires more than just knowing your income and having an idea of prices of goods and services. We will spend the next five weeks or so discussing some of the key concepts in finance, economics and banking which we encounter on a daily basis. We will discuss how these concepts and terms affect our day-to-day economic choices and decisions. I had an informal discussion with a close friend not so long ago who approached me to protest against the inflation rate published by the Central Statistical Office in that month. His argument was that it was not possible for the inflation rate to fall when prices of goods and services were still high. That coming from a university graduate made me realise how we take certain things for granted by assuming that we know or that everyone knows. Without doubt, a number of other people would have found the argument relevant even though it was a kind that demonstrated a lack of understanding of the term inflation itself. Information available on consumer economic and financial literacy is worrying for two main reasons-not only do individuals generally lack an adequate financial background and understanding to navigate today’s complex financial market, but they also generally believe that they are far more financially literate than is really the case. Being financially smart demands taking deliberate action to gain understanding on some of the financial and economic principles as well as terms which affect one’s finances, either directly or indirectly. I believe that by sharing information of this sort, we can all contribute to the financial education in our country. With the growing complexity of business due to major evolutions in the financial sector, it becomes very imperative for a nation to have a large proportion of financially literate people. Financial markets are becoming increasingly sophisticated with a wider range of products being offered and numerous financial instruments such as credit cards, mortgage loans and various insurance products all being used. Generally, a market driven economy will thrive more if its citizens are financially knowledgeable and are able to make sound economic and financial decisions. That is to say, if they are able to choose the right savings, insurance or investments for themselves and to challenge financial service providers to develop products that truly respond to their needs. This can havepositive effects on both the investment levels and economic growth. It is for this reason that we will walk this road in the coming few weeks to look at some concepts which may help us to become or perhaps remain relevant in the 21st century financial market. I deliberately decided to start this series of discussions with a seemingly rhetoric but relevant question: Do I have to know? Sometimes we are deceived to believe that certain matters do not concern us and as such there is no need to know. Remaining relevant in the financial market and being financially smart require that we are conversant with most matters that pertain to finances and economics. It demands being current and taking interest in trending financial and economic developments as well as being curious enough to know how they may affect you. Next week we will zero in on the subject of financial literacy and we will analyse how it is beneficial to households, the financial system and the economy. Be financially smart, plan your finances incisively! 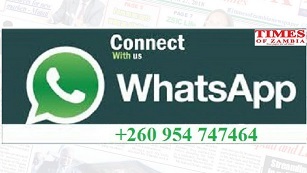 For comments: rodgerswamuwi@yahoo.com or +260976210956. The Author is an economist with five years experience in the Zambian banking industry.